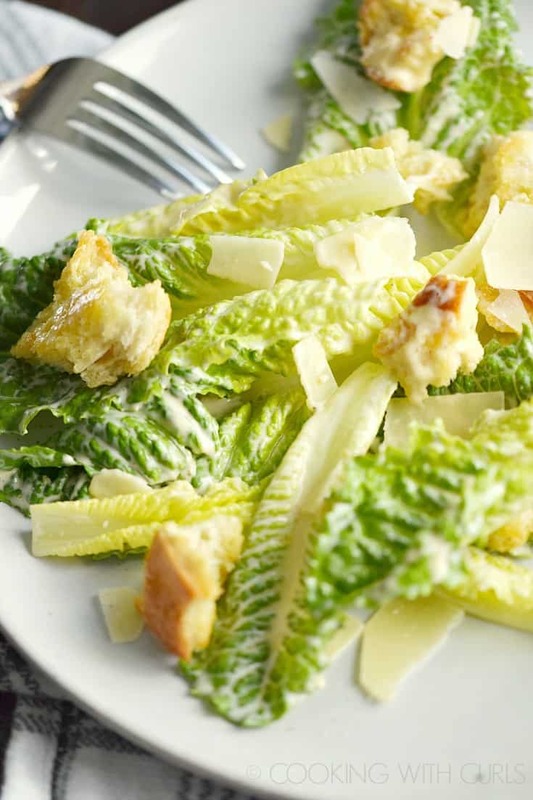 Classic Caesar Salad is one of those recipes that can be made a million different ways, with several different stories describing how it was first created. I decided to take all of the stories and variations and pick my favorite parts to create the perfect salad. 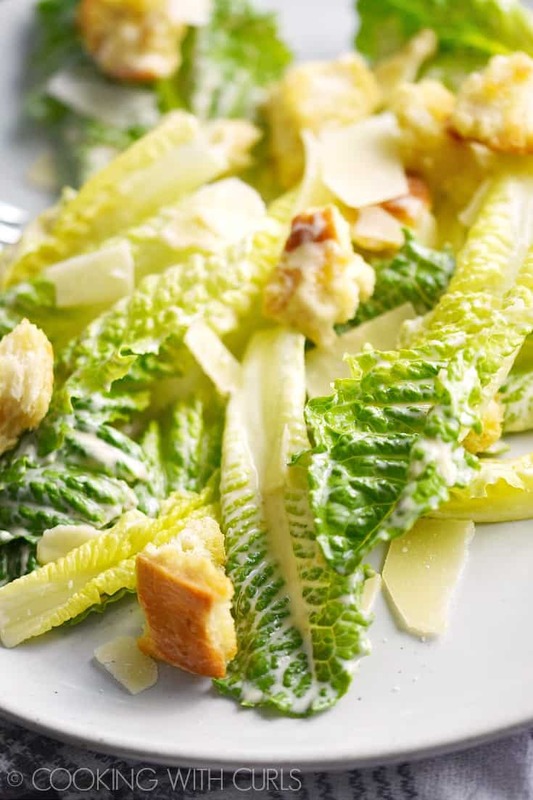 Romaine hearts, creamy Caesar Salad Dressing, homemade garlicky croutons, and shaved Parmesan…..
are the common denominator in all of the different versions of a Classic Caesar Salad. Most people believe that this salad was created in the 1920’s in Tijuana, Mexico by an Italian immigrant named Caesar Cardini who prepared the salad table-side for guests. His version included coddled eggs and may or may not have contained anchovies. Others insist that it was created for a Roman Emperor long before Cardini ended up in Mexico. 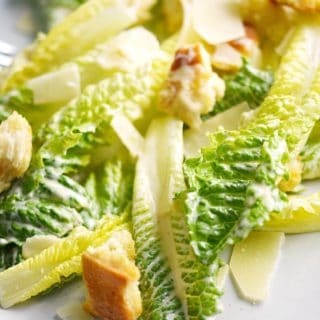 Either way, it’s a delicious Classic Caesar Salad worthy of serving to guests and family alike…..
Place the olive oil in a small bowl with a crushed garlic clove. Allow to sit for several hours to give the garlic time to release it’s oils. 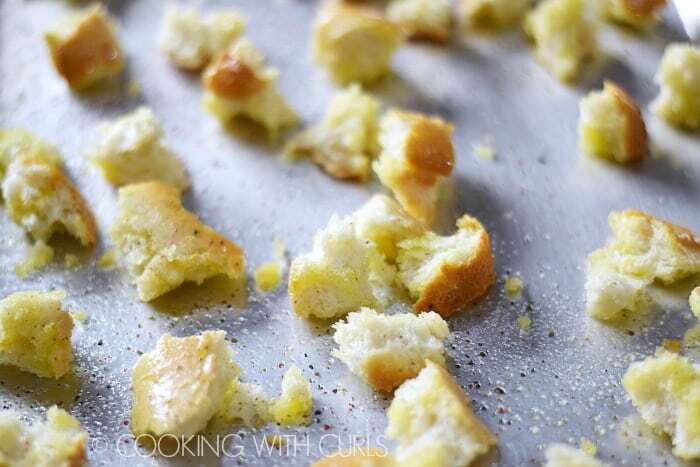 Tear the baguette into small, bite-sized pieces and place them on a baking sheet. Toss with the garlic-oil and sprinkle with sea salt and ground black pepper. Bake in a preheated 375 degree oven for 10 to 15 minutes, until golden brown. Set aside until ready to use…..
Place the anchovies, garlic, and pinch of salt on a plate or in a bowl…..
Use a large tablespoon to smash into a paste…..
Place the egg yolks, lemon juice, mustard, oil, pepper, and anchovy paste in a wide-mouthed jar…..
Place the immersion blender in the jar and push to the bottom of the jar. 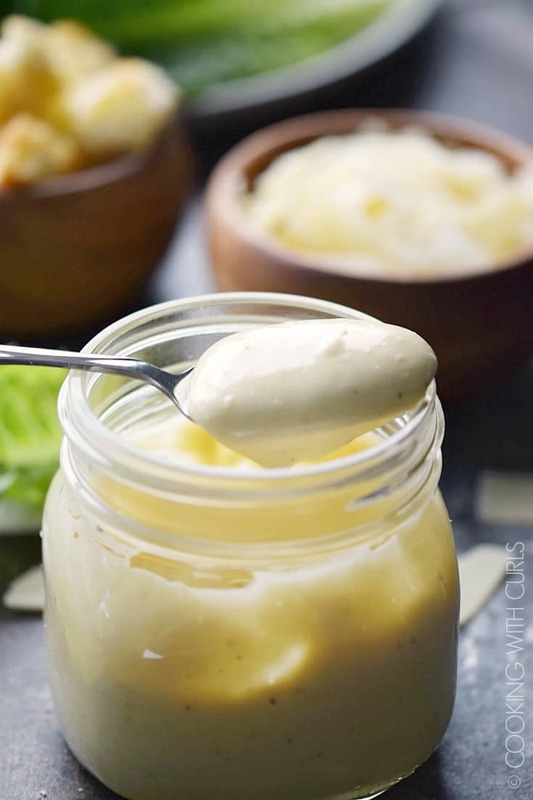 Press the button and blend the dressing until smooth and creamy….. Season with salt and pepper to taste. Refrigerate until ready to serve. Place the romaine hearts in a large bowl. 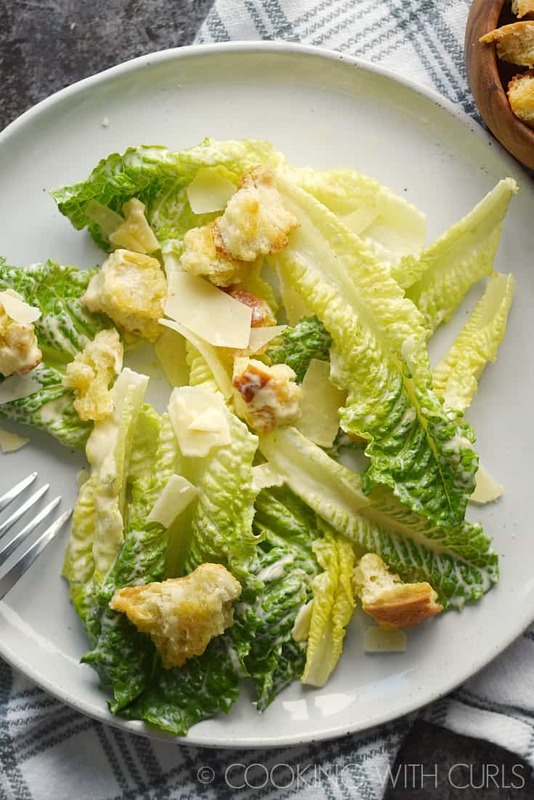 Drizzle with the dressing, shaved Parmesan, and croutons, toss to combine. Grab a fork and dig in!! I left my lettuce leaves whole, but you can tear them into smaller pieces to make them easier to eat. 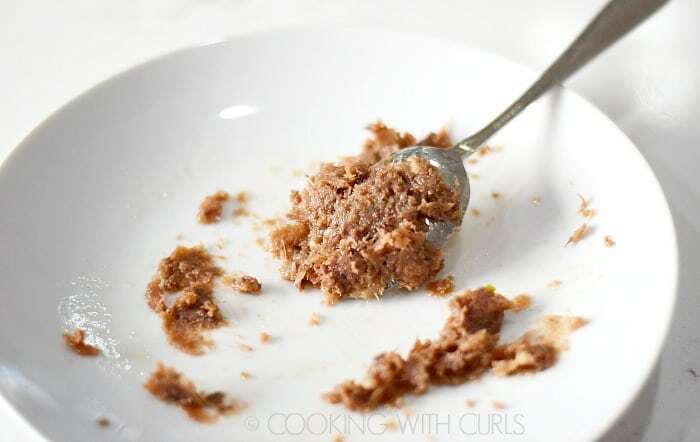 If you do not wish to smash your own anchovy fillets, substitute 1 Tablespoon of anchovy paste. If you do not have an immersion blender, you can whisk the anchovy paste, egg yolks, lemon juice, and mustard together in a large bowl. Gradually whisk in the oil, and continue whisking until thick and creamy. If you are nervous about consuming raw eggs, purchase pasteurized eggs. Infants, pregnant women, older adults and other high-risk groups should avoid eating raw eggs. 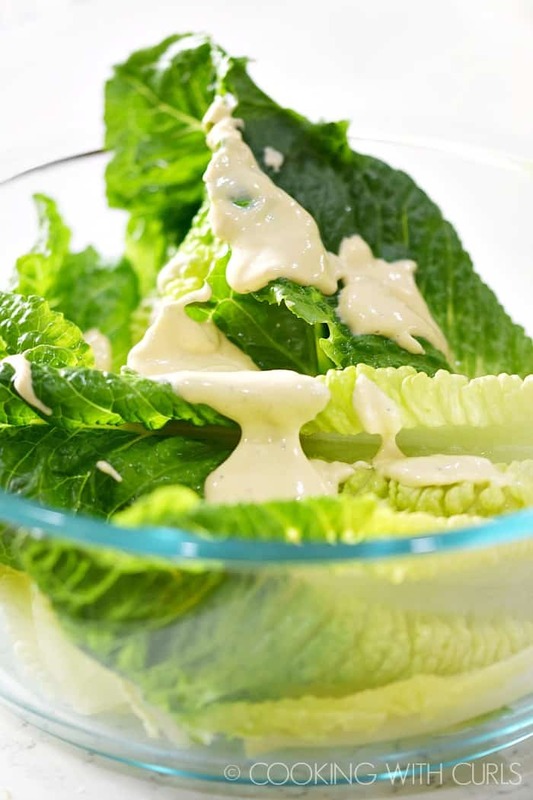 You can find a more detailed post about my Caesar Salad Dressing HERE….. 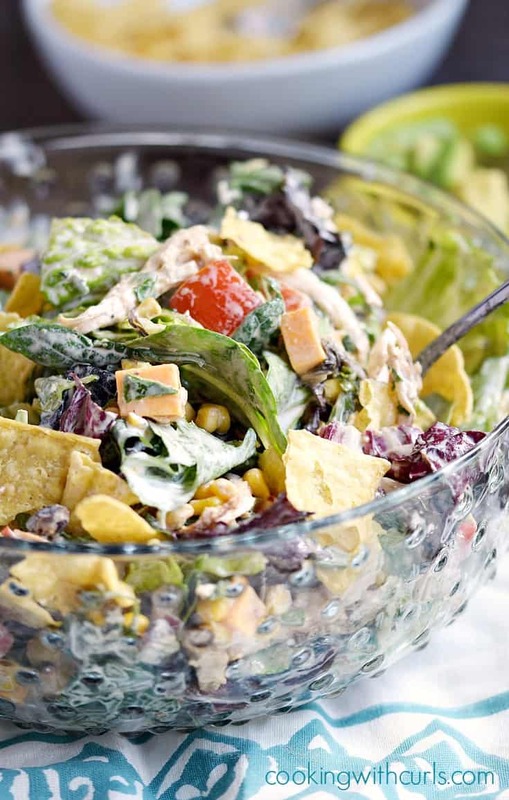 This Tex-Mex Chopped Chicken Salad is one of my other favorite salads….. 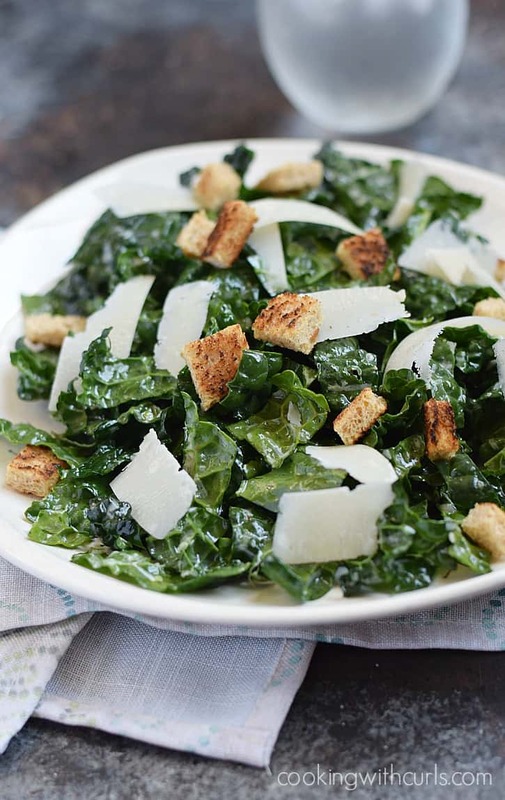 This dleicious Black Kale Salad is another amazing salad to start your meal with…..
Classic Caesar Salad with romaine hearts, Caesar salad dressing, shaved Parmesan and homemade garlic croutons is the perfect start to any meal! Bake in a preheated 375 degree oven for 10 to 15 minutes, until golden brown. Set aside until ready to use. 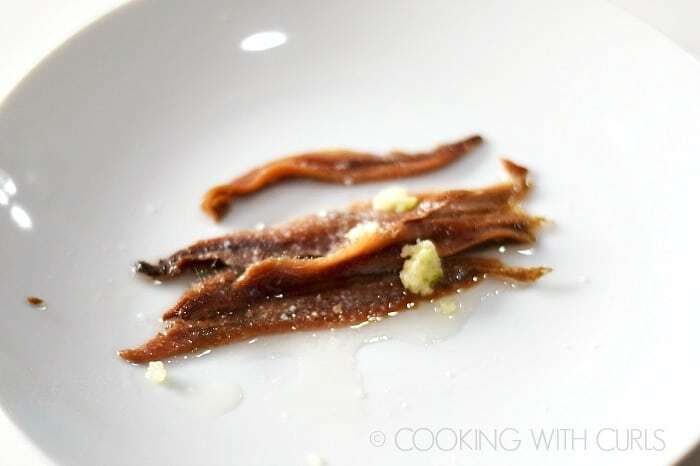 Place the anchovies, garlic, and pinch of salt on a plate or in a bowl. Use a large tablespoon to smash into a paste. 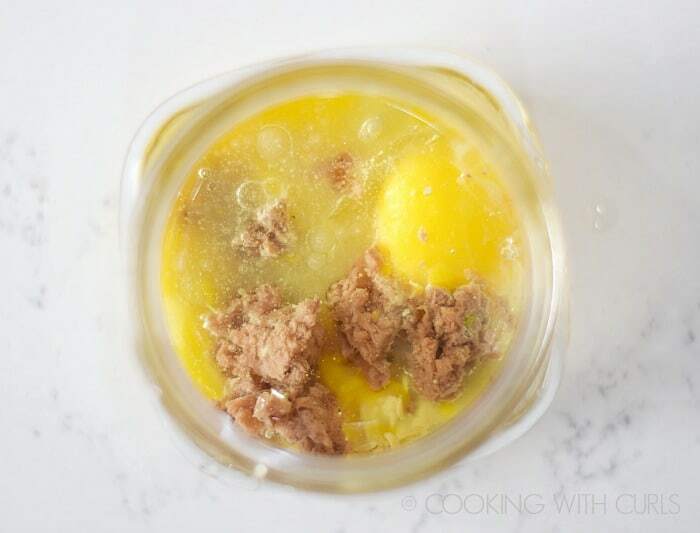 Place the egg yolks, lemon juice, mustard, oil, pepper, and anchovy paste in a wide-mouthed jar. Place the immersion blender in the jar and push to the bottom of the jar. 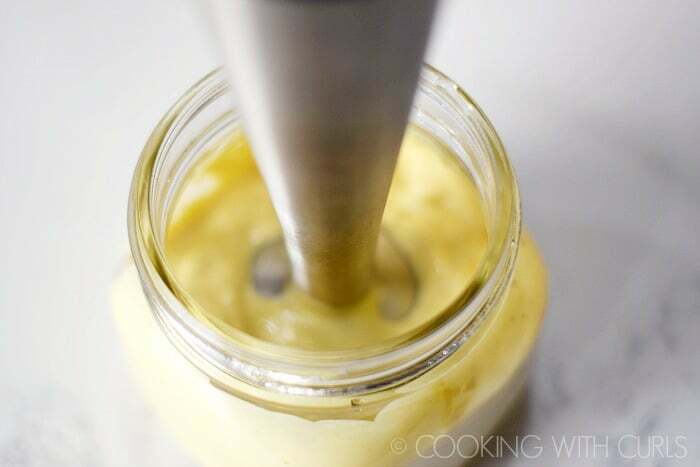 Press the button and blend the dressing until smooth and creamy. Serve with additional dressing, Parmesan, and croutons…just in case.